Boston Connect Real Estate is proud to announce the addition of Chris & Erin Florek to our Sales & Marketing team. Chris & Erin are a husband and wife team who live here in Pembroke and bring a wide array of experience to the table. 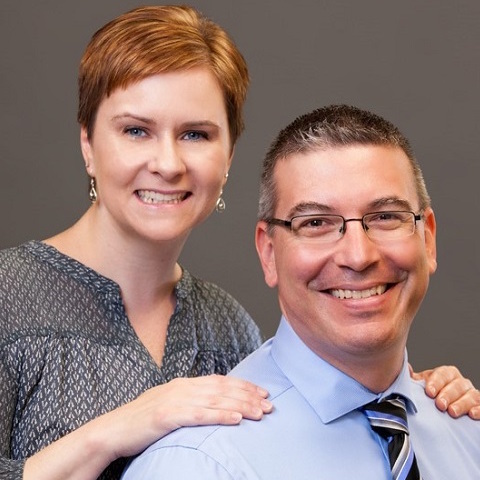 Both Chris and Erin have extensive medical backgrounds; Chris has been a Physical Therapist since 1994 and Erin an Occupational Therapist since 2000. Their experience and education gives them a unique perspective and allows them to truly help their clients make sure their home will meet their needs both now and in the future. Chris has been a Realtor since 1999 when he owned his own real estate company (an international franchise), growing his office from 0 to 75 agents in a 5 year period. During that time, his role was mainly as an owner/manager. He was not only involved in his own personal listings and sales, but he oversaw the hundreds of real estate transactions completed through his office, ensuring every “i” was dotted and every “t” was crossed. Chris was honored and acknowledged numerous times by his franchise leaders: receiving multiple awards, being asked to provide assistance to other local franchises, as well as being invited to speak at their Annual Convention. 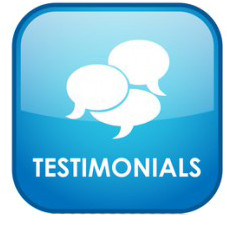 Chris took pride in teaching, training, and coaching his real estate agents to provide an outstanding experience for their clients and he makes it a point to provide this same level of quality and experience to his current clients as well. Chris also has experience in purchasing, rehabilitating, and managing real estate investment properties and has assisted in running a real estate investment group. Chris has received his Senior Real Estate Specialist (SRES) Designation from the National Association of Realtors. Chris & Erin have both received their Executive Certificate in Home Modifications from the University of Southern California and their Certified Aging in Place Specialist (CAPS) Certification through the National Association of Home Builders (NAHB). In 2014, Erin became a Realtor as well and joined forces with Chris. They now work together to provide their clients an even greater level of service and expertise. They are ready to help you find your next home. I have learned over the years that selling real estate is not about the house itself, the house is secondary. Selling real estate is about the people, their situation, and their moment in transition. It’s about providing guidance through the process and building relationships so you know who to turn to when the next life transition comes along. Life is about experiences, both positive and negative, but mostly it’s about what you learn from those experiences and the wisdom it provides you. Many times along your life path you will find yourself in a time of transition. Buying or selling a home is an emotional process in and of itself. Adding any one of these life transitions into the mix could cause this process to become quite stressful. I realize that each of these life transitions provides its own challenges and I have had personal experience with each and every one of them. I use these experiences to provide valuable insight to those who may be going through similar situations to help them in any way that I can along their personal journey. All of this being said, I realize that buying and selling real estate is NOT about me… It’s about YOU! I have always known that I was meant to work in a field where I can truly help people. Graduating from UNH with a degree in Occupational Therapy (OT) in 2000, I spent 15 years working closely with my patients, listening carefully to their wants, assessing their needs, and establishing their goals. I have always imagined myself getting into real estate, but it wasn’t until I met my husband, a Realtor himself, that I realized how significantly I could help people with such a major life decision. I have learned that the skills I have developed as an Occupational Therapist, combined with my additional certifications in Home Modification and Certified Aging in Place, are also vitally important when helping my real estate clients. Communication is the key. As your Realtor, I make YOUR wants, needs, and goals my top priority. Our mission is: Making Sure Your Home Meets Your Needs – Now and in the Future!